Most commercial cannabis producers don't realize how much it helps their flower production to get off to a good start. This means having super healthy mother plants and knowing exactly how to root clones without stressing them out. I started my career as a commercial grower producing clones. I had a knack for it from the beginning, probably because I like measuring every little thing and getting my conditions just right. Plus, it's a skill that only takes a week for testing each variable, where flowering takes months. 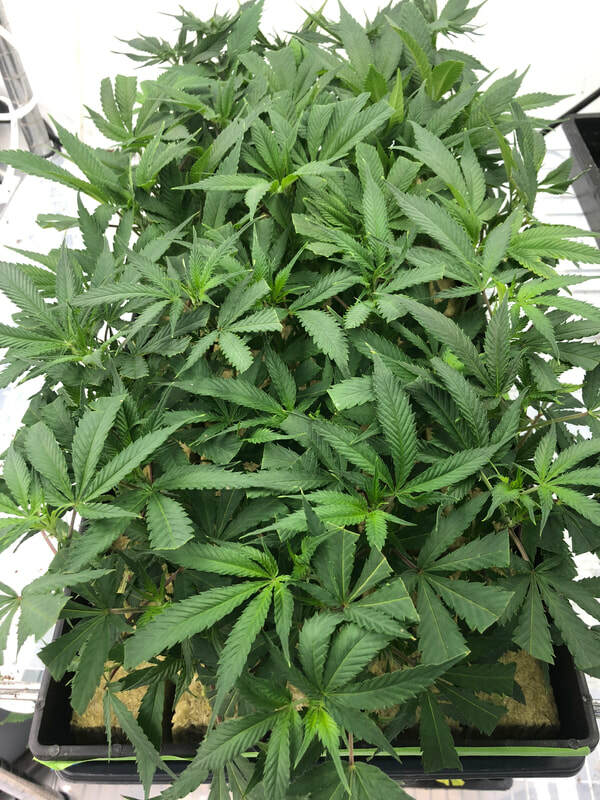 Between 1996-2012, my employees and I produced over 2 million clones for SF Bay Area dispensaries and tried every rooting variation imaginable to find the right lighting, moisture levels (in the media, humidity dome and outside air), temperatures, rockwool soaks, rooting hormones, and cutting methods to zero in on a reliable system for large-scale production. Because every flower producer is at a very high risk of contracting pest or microbial infections from purchased clones, I encourage cannabis production facilities to do their own cloning, and I teach them how to do it. My cloning and propagation consulting service include on-site training, SOPs, recommended equipment and supplies, watering methods (there are custom tools involved), humidity dome management, tracking methods, and mother plant pruning and management. Once you have learned the system, you should be able to get a 95% success rate with rooting in 7-9 days, and your clones should look as good when they are rooting as they did when you first cut them. Contact Jennifer Martin for more information and to get started producing thousands of cannabis clones per week.